What’s the secret to building a more creative, innovative work culture? 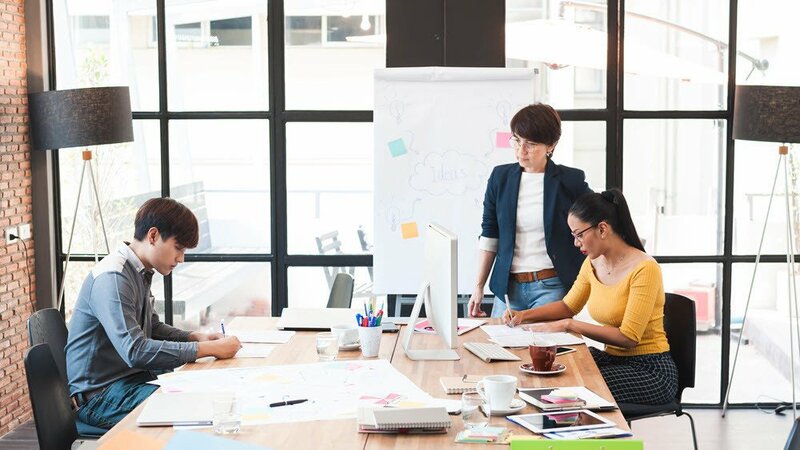 Many of the world’s leading-edge companies are adopting the best practices of collaborative, project-oriented university student culture to give their corporate office environments a competitive advantage over their rivals. As a result, we’re not only seeing rapid adoption of open campus-style office environments inspired by a flexible college lifestyle, we’re also seeing the widespread introduction of Makerspaces within the office — even within companies where you wouldn’t expect to see them. Which Leading Companies Use Makerspaces in the Office to Encourage a Culture of Creativity and Innovation? Are you looking for ways to enhance creativity and improve employee engagement in the office? Incorporating a Makerspace may be part of the solution. The Makerspace concept, long a mainstay of college campus STEM education programs, is now taking root in corporate offices as well. Let’s take a look at some of the successful companies that have adopted Makerspaces for their offices and discover some of the key benefits they offer. Anyone familiar with Silicon Valley tech lore knows the story of a certain one car garage in Palo Alto, California where, in 1939, Bill Hewlett and Dave Packard invented their first product, the HP Model 200B audio oscillator. Disney Studios was their first customer, using it to produce sound for their movie Fantasia. Nearly 60 years later, this Horatio Alger-style rags-to-riches story was repeated in another garage, this time in nearby Menlo Park, where Larry Page and Sergey Brin started their search engine company Google. So, given the history of “garage” startups, it’s not surprising that many companies in the Bay Area are eager to bring the creative elements of a garage workshop into the office in the form of a Makerspace. Meta’s office optimizes the college lifestyle. Not only do the 25 or so employees work long hours together, they also sleep on campus in dorm-style bedrooms equipped with bunk beds. At Meta, Makerspace facilities for building headset and other product prototypes are close at hand, just steps away from the software developer labs. One of the primary ideas behind the Makerspace movement is to rekindle and reclaim the art of “making things” with our hands. But in today’s interconnected, Internet-enabled world, engineering a good product is often not enough to be successful in the marketplace. It also takes the combined expertise of talented software developers, skilled marketers, and product managers — as well as input from the community of consumers who are increasingly taking a direct role in the product development process. Working with the customer community directly is the reason d’être behind GE FirstBuild, the micro-factory initiative launched by GE’s former consumer product division in Louisville, Kentucky (now owned by Haier). GE FirstBuild is opening up its Makerspace prototyping facilities to the maker community — conducting hackathons and other events to solicit ideas and co-create innovative designs in partnership with their customers — from the initial concept development all the way to the manufacturing stage. With only 23 full-time employees, FirstBuild has seen its community member population explode, growing to over 23,000 members in just a few short years. So far, FirstBuild can point to several innovative new product concepts — including a smart water pitcher, a small form-factor waste disposer, and a smart oven that can read recipe barcodes to control the baking time and temperature — that are slated to move into production at FirstBuild’s micro-factory. GE FirstBuild also hopes to entice other companies to jump on the co-creation bandwagon; they’ve created a set of product developer tools, called Giddy, designed to connect user communities with brand name manufacturers. In a report for Here East, Deloitte points out that as new technologies reduce the barrier to entry for manufacturing small production runs, they increase the need to give consumers access to the product/service customization process. Now let’s turn to Deloitte itself, which is successfully recasting itself as the leading consultancy for the digital transformation era. How are they accomplishing this shift? In the parlance of Silicon Valley, Deloitte has been eating its own dog food, e.g. practicing what they preach. For example, not only does Deloitte actively promote the idea of Makerspaces for its clients, they have built their own Makerspace for use by Deloitte employees working at their flagship digital headquarters building in London. But what value does a company like Deloitte see in creating a Makerspace within their own offices? Deloitte Digital has many irons in the digital transformation fire, from developing high-profile consumer-facing IT projects to helping stock exchanges and fintech startups adopt blockchain technology. The Makerspace at Deloitte provides an ideal environment for employees to solve problems collaboratively by breaking down the silos that tend to isolate departments in large organizations. Two other leaders in digital transformation agree on the benefits of having a Makerspace within their office environments. The first is Microsoft, which calls their Makerspace “The Garage.” It’s kitted out with a full complement of CNC machines, laser cutters, as well as electronics prototyping kits, from Arduino boards to Raspberry Pi microprocessors. Google co-founder Larry Page believes in the value of Makerspaces; he oversaw the creation of the first Makerspace within Google’s offices back in 2011. Now let’s turn to what it takes to implement a successful Makerspace in your office. 1. What Goes Into A Makerspace? Typical Makerspace equipment includes band saws and driller presses, heavy-duty sewing machines, 3D Printers, CNC milling machines, welding equipment, and water jet or laser cutters. Makerspaces oriented toward making IoT (Internet of Things) projects will have a compliment of electronic equipment and tools, such as breadboard for prototyping circuits, soldering irons, Arduino and Raspberry Pi processors, as well as a supply of wire, semiconductors, transistors, LED lights, etc. 2. Strategies for Keeping Your Office Makerspace Neat and Organized. Follow the “a place for everything and everything in its place” principle. Work with your Formaspace Office Design Consultant to specify sufficient storage, including lockers for equipment, stock materials, and employee’s projects. We offer a range of durable worksurfaces for your desks and countertops, including solid maple, stainless steel, and chemically-resistant phenolic resin. Modular furniture designs are best as they offer complete flexibility for reconfiguring floorplans as needed (or for moving to new locations). Weldmarx VII mobile tilt-top tables also provide increase floorplan flexibility within a Makerspace. They can be moved into place, opened up horizontally to allow work on large projects, and then closed up into a vertical position for storage against a wall. 3. Keep Everyone Safe. Avoid Injuries Caused by Poor Ergonomics. An experienced manager of Makerspace facilities can help employees work safely by creating and enforcing a rigorous safety protocol, including providing proper tool handling instructions, ensuring proper personal safety equipment is always used, as well as limiting employees from engaging in projects beyond their current skill level. When designing layouts, consider the movement of large raw materials. For example, can you maneuver a large 4×8 sheet of plywood to a table saw without having to clear everything out of the way? Built-in overhead power reduces trip hazards by providing convenient plug-in access close to where people are working. When you create a Makerspace within an office, often, one of the primary goals is to enhance collaboration and build community within the organization. Furniture elements, such as our mobile communication boards, provide an attractive way to jot down important notes and share them with other Makerspace users. Makerspaces also offer an opportunity to enhance your brand as part of your internal marketing communications program. As an example, our Formaspace Office hackable gallery panels can incorporate your branding elements into unique panel design motifs. These same design elements can extend to your other office areas as well, to provide a consistent brand message. Just as you would when planning a cafeteria or noisy break room, you need to choose the location of your Makerspace within the office carefully to prevent unwanted noise from interfering with those working in the main areas of your office. See our report on reducing noise in the workplace for more ideas on how to accomplish this, including using acoustic design principles during the design process as well as using sound absorptive materials on the floors, the walls, and in your ceilings. If you can imagine it, we can build it, at our Formaspace Office factory headquarters in Austin, Texas. Take a look at one of our recent Makerspace projects at the Arizona Science Center. Working with the project architect, we were able to create a complete furniture solution for the Makerspace which sees thousands of users per year. To learn more about this project or to get advice for your next Makerspace project, contact your friendly Formaspace Office Representative or Design Consultant today. https://formaspaceoffice.com/wp-content/uploads/2017/05/FS_office-full-mint-logo-300x62.png 0 0 Mehmet Atesoglu https://formaspaceoffice.com/wp-content/uploads/2017/05/FS_office-full-mint-logo-300x62.png Mehmet Atesoglu2018-08-29 16:01:352018-08-29 16:01:35Why Does Your Office Need a Makerspace? We Asked Experts: Do Millennials Want Privacy in Open Office?